Prepare the mussel by scraping with an old knife and scrape off the beards. Plus a sprinkling of pepper. With the mussels in a large strong pan, cover with a lid. Shake the pan over a good heat for 5 mins or until the mussels are open. 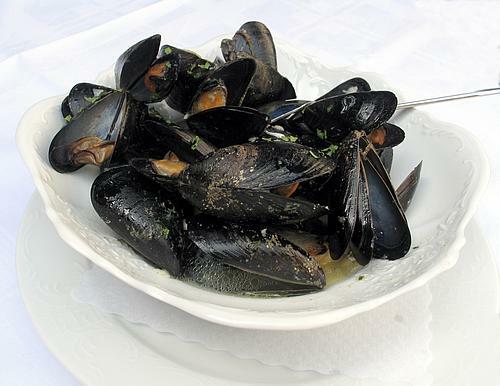 Pour the liquid over the mussels and sprinkle generously with the parsley then serve.